Every photographer experiences the same feeling of frustration when they miss an excellent photo opportunity because they don’t have their camera on them. Sometimes it’s just not possible to lug around your giant kit — whether it’s just a heavy annoyance or you feel unsafe bringing it to a shady area or plan on getting drunk at a bar. Sometimes shooting with your phone will make the cut, but there are plenty of times where you’re left wishing you had something more capable. Thankfully, technology comes to the rescue. The new mirrorless cameras being introduced to the market keep getting smaller and smaller. As of 2017, there are tons of compact cameras that fit in your pocket that are way more powerful than shooting on your phone. I researched and used some of the best pocketable cameras on the market, and here are my recommendations in a few different categories, depending on how you’d like to use the camera most. My recommendation is the brand new Fuji x100F. 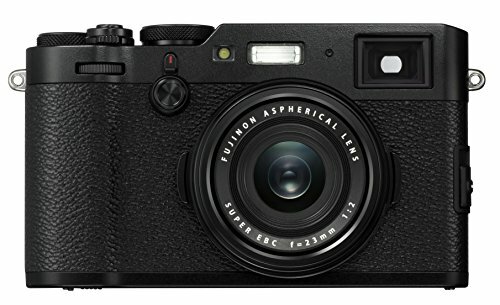 Alongside it, I recommend its predecessor, the Fuji x100T if the X100F is unavailable — currently it is sold out on Amazon as well as other retailers. You can read a bit more about each camera and why I recommend them below. The newest iteration of Fuji's x100 family, the Fuji x100F, improves on the Fuji x100T on a few fronts. A 24mp sensor compares very favorably compared to the 16mp sensor used int he X100T and X100S. It’s the same exact sensor that goes into Fuji’s X-Pro2, X-T2 and X-T20. The camera spits out 6000x4000 images which is also an excellent upgrade. One other main boasting point for the x100F is the “advanced hybrid viewfinder,” which can overlay the electronic viewfinder over top of the optical viewfinder. This is pretty neat, and allows you to check your exposure, white balance, and other settings through the EVF while still being use your OVF, which is preferable to many photographers. A 91-point AF system and a joystick to select your AF point are excellent additions to the camera, in addition to extended battery life, improved continuous shooting. x100F users have also reported better and faster autofocus from the newest addition to the x100 family. The Fuji x100T is an excellent camera to compliment a photographer who mainly shoots on a pro DSLR. Not only is it the most stylish of the compact mirrorless options, the fixed 23mm (35mm equivalent), fast f/2.0 lens gives excellent flexibility for different lighting situations. Shooting at a fixed focal length is a liberating experience, and forces you to think about your shots and composing them well. Most non-photographers who see my Fuji x100 series cameras think they’re old film rangefinder cameras, which I think is fantastic. Subjects don’t feel like they have a big camera shoved in their face, and this characteristic makes the x100 cameras very popular among street photographers, and anyone looking to discreetly capture photos without being a distraction. Areas where the X100T beats out Sony’s RX100 V include battery life (330 vs 220 shots on a charged battery), the hybrid optical and electronic viewfinder, faster max shutter speed, and a built-in ND filter. The x100 cameras also natively include some beautiful in-camera film simulation filters. There are some excellent accessories that Fuji and other third parties have released to improve your experience using an x100, including WCL lens conversion attachments (wide and telephoto), and a small hotshot flash. The Ricoh GR II is maybe the least common of these pocketable cameras to spot out in the wild. It has some of the most interesting features, but also lacks in some ways compared to the competition. Perhaps the most notable thing about this camera is that it’s the smallest of the options here. It has a minimal, nondescript design with a fixed 28mm lens that would work well for street photography or shooting inconspicuously, similar to the Fuji. The Ricoh GR II is priced considerably cheaper than the X100T, but is better compared to the older versions of the X100 and RX100 series, which are available for similar prices to the Ricoh GR II. One big drawback of the Ricoh is a lack of an included viewfinder. Most photographers enjoy shooting through a viewfinder in comparison to a screen, especially when it’s bright outside. Many Ricoh GR II shooters actually purchase an additional viewfinder to use with the camera. Lots of street photographers love to shoot from the hip with this camera, and Ricoh's "snap focusing" makes it pretty easy to do so. The Ricoh’s sensor compares directly to the Fuji x100T and prior x100 cameras — both have 16mp APS-C sensors, but understandably isn't on par against the new Fuji x100F and Sony RX100 V sensors. 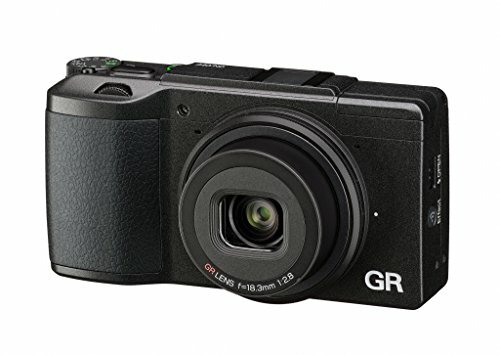 There are a few important places where the Ricoh falls short in comparison to the other top-of-the-line comparison cameras, but if the small size of the camera is crucial to you, it’s hard to come up with a better option than the Ricoh GR II. Once again, the Fuji x100 series really shines — even the older models. The x100S lacks a lot of the modern features of the X100T, but even without some of the added features it's an excellent mirrorless camera that can't be beat at the price point. 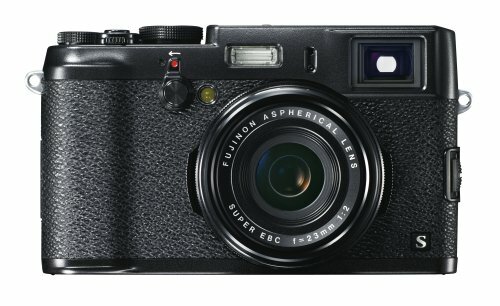 The x100S is discontinued by Fuji as they've moved onto newer models, but they are very popular on the used market, so finding one shouldn't be too difficult. 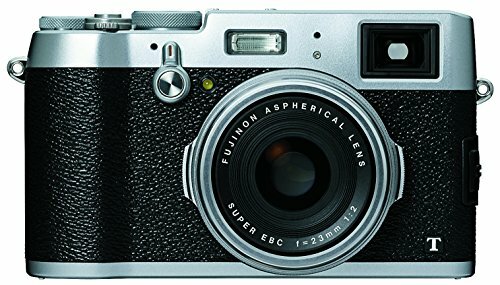 Note that the price for X100S cameras on Amazon fluctuates as they are all used copies, since it's a discontinued model. As newest version of Sony’s RX100 line, the RX100 V has some fantastic new features not found in the other mirrorless cameras that fit in your pocket. After breaking down the capabilities of this camera, some of the specs compare more directly with large DSLRs rather than its compact camera competition. Why am I not recommending it? If you're in the market for a do-it-all point and shoot camera, I would recommend the RX100 V, easily. As a walkaround complement to your DSLR, some of the impressive parts about the RX100 V turn out to be overkill, and turn into more time spent figuring out your settings rather than shooting. But in a tiny camera with limited space for buttons and dials, using the advanced autofocus modes and special settings, this camera forces you to interact heavily with the menus and not using the camera as more of a point and shoot. Another small note, though all of these compact cameras suffer from a lack of battery life, the RX100 V is only rated for 220 shots, which compares unfavorably to the competition. 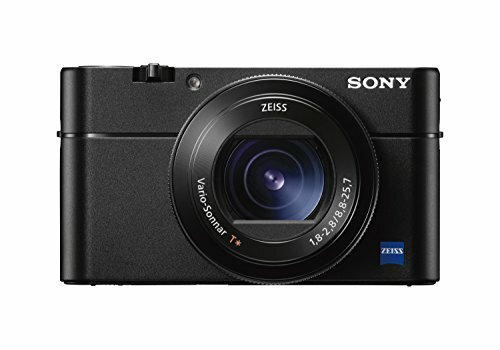 The RX100 V features a 24-70mm equivalent f/1.8-f/2.8 retractable lens. This is pretty impressive in such a tiny, compact body, and certainly gives more flexibility over some of the other bodies. The articulating screen (though not touch-screen), ability to shoot 4k video, and 24 fps continuous shooting are some other highlights. If you're looking for a really flexible camera to carry around and don't want to be stuck at one focal length, the Sony RX100 V might be one of your best choices.